I’m a little disappointed with this so called “snow storm”… Vermont hasn’t been hit very hard. I’m snowboarding later today and I would love some fresh powder! My parents have been sending me pictures of all the snow in Mass. They could jump out of their second story window into powder! Even with the lack of snow, the dryness is still on at full force. My skin feels dry, my eyes feel dry, even my hair! In the winter, I always seem to forget to drink as much water. If I’m not sweating then I don’t really think about it- but it’s just as important all year round!! In and attempt to up my H2O intake, I got an app on my phone! Silly? A little. I do feel kind of weird tracking my water/liquid ingestion, but it’s been pretty eye opening. Which leads me to the real point of this post: How much water should we actually drinking and why? The standard we’ve all heard is 8 cups a day (64 oz). I’ve also heard the “divide your weight by two” and that’s how many oz you should drink- 130lbs= 75oz. But as biological studies have advanced, we’ve begun customizing each individuals health needs. Shouldn’t we have something for water too? Not surprisingly, Camelbak has a whole web page dedicated to articles and videos geared towards educating the public on their water intake. Including their 10 hydration facts you probably didn’t know about. Skin health. Dehydration leads to less elasticity in the skin. Although it doesn’t stop wrinkles, consuming water over other unhealthy options may make you feel younger by flushing out all the toxins being held. Which can aid in my never ending battle with acne! Let me just go off on a quick tangent: The winters in VT are pretty rough. Allergies are haywire. I never had ridiculously dry skin before but this winter I’m really struggling. My face is a dry/oily combination so my acne is really putting a damper on my mood. Turns out, one of the abundant side effects of hypothyroid (well, in my case no thyroid) is dry skin!! All this water intake will help in the fight against pimples! How can you make 8 cups an achievable goal? 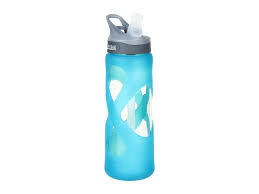 get a good reusable water bottle. Know how many ounces it is and do not refill it until it is all gone. I know some people who will put a little masking tape on and tally how many times they finish their bottle. Before you get ready for a snack or meal, drink a glass of water. Remember to drink water while exercising and after! A glass of water sounds pretty amazing right now doesn’t it, but you can actually drink too much water. Overhydration can be dangerous to your health! When you drink too much water, or consume too much in a short period of time, your body will literally start to shut down on you. Did you know you can even burst your red blood cells from too much fluid? In the end, I find myself trying to get 8 cups, but I think about different aspects of the day on which maybe I should consume more. Did I have a beer? Then I’ll drink another water to help de-bloat. How far did I run? 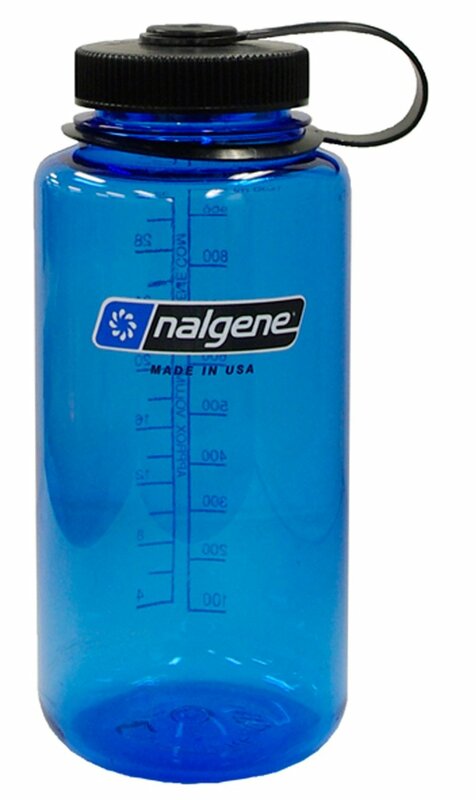 Maybe drink another water bottle to counteract the fluid loss. Women, on your period? Drink that water! It helps a lot! I also find that I prefer glass containers over plastic. I think that it is easier to clean, no smell, and I’m not concerned with it melting (dishwasher safe is always a plus). Lastly, the urine test. Your pee is an excellent indicator of hydration. At summer camp they taught us “yellow like lemonade, not like apple juice”-which pretty much sums that up nicely.